This month, ASICS kicks off its global TV campaign with the launch of its new lightweight shoe, the ASICS Gel Neo33. The ad entered the psyches of basketball fans everywhere with its debut during March Madness. Great venue to reach the perfect target during a period of time when athletes and athlete wannabes are glued to the TV. The spot begins with runners carrying brightly lit balloons through city streets. Running to the lively soundtrack of Temporary Blues, the athletes convene on a hilltop holding their blue, green and white balloons in a colorful cluster of happiness. 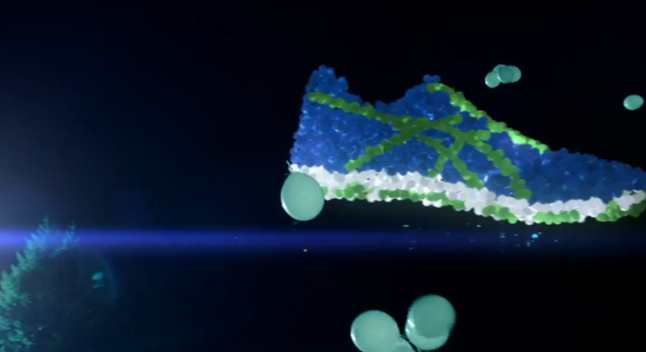 As if by magic, the balloons take flight to reveal a giant ASICS 33 shoe. The shoe gently floats away into the sky, revealing the super: ASICS: The Enemy of Limits. Interesting tagline and message: ASICS can take you anywhere you want to go.